“Momo” was the only son born to Francisco and Anita Lucero. He was the second generation of our Miranda line to be born in Clifton and the third to settle and live there. Through oral history we understand that he left school before completing high school (his death certificate says he completed the 10th grade) to work and help support the family. In those days, it was fairly common for children to leave school after completion of the 8th grade. Romulo’s early life was certainly complicated following the separation of his parents around 1912. Subsequently his father moved from Clifton to Ray-Sonora, Arizona around 1913 and remarried; later around 1917, his mother remarried and moved to San Pedro California, leaving an 11-year-old (and only son) and his two siblings with his elderly grandmother, Refugio Miranda. Under these circumstances, it is actually quite an accomplishment that Romulo even entered High School, much less completed two full years. 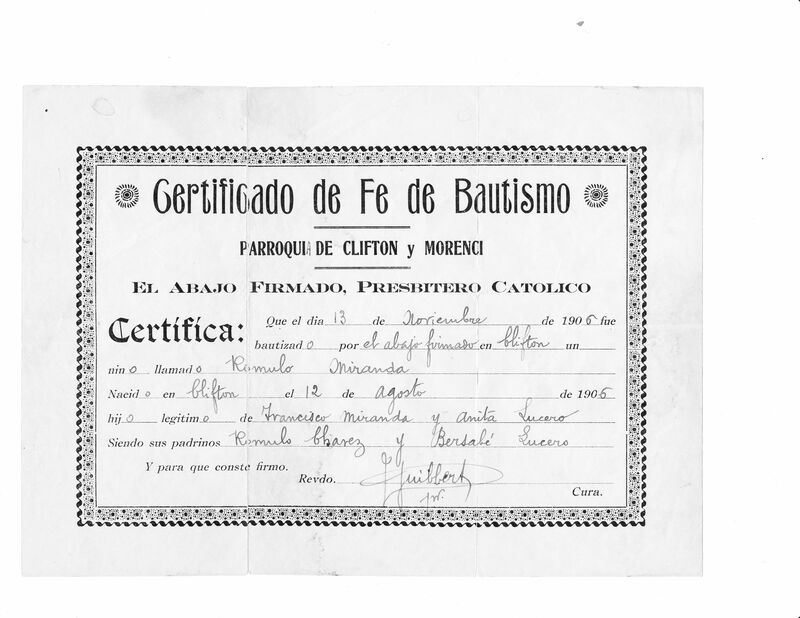 In the 1920 census, a 14-year old Romulo is listed along with his older sister Clara and younger sister Lucia, living with their grandmother in Clifton and attending school. 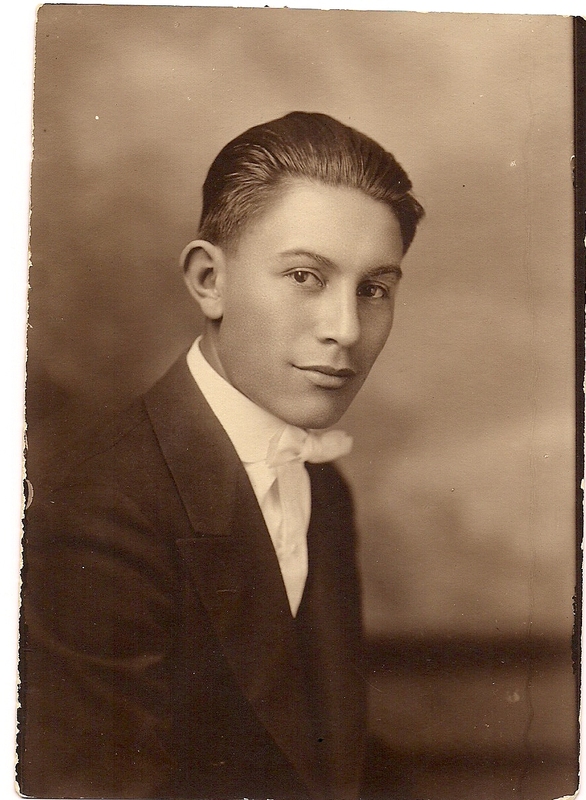 By the time of the 1930 census, Romulo was the last of his siblings remaining in Clifton. His older sister Clara had married and was living in Pirtleville, Arizona, while younger sister Lucia had also married and moved to San Diego, California. His youngest sister Ana died in California in 1928. It is believed he remained in Clifton to care for Refugio, who had lived her entire adult life in Clifton. However, it is also possible he remained because he was able to find steady employment in the mines. 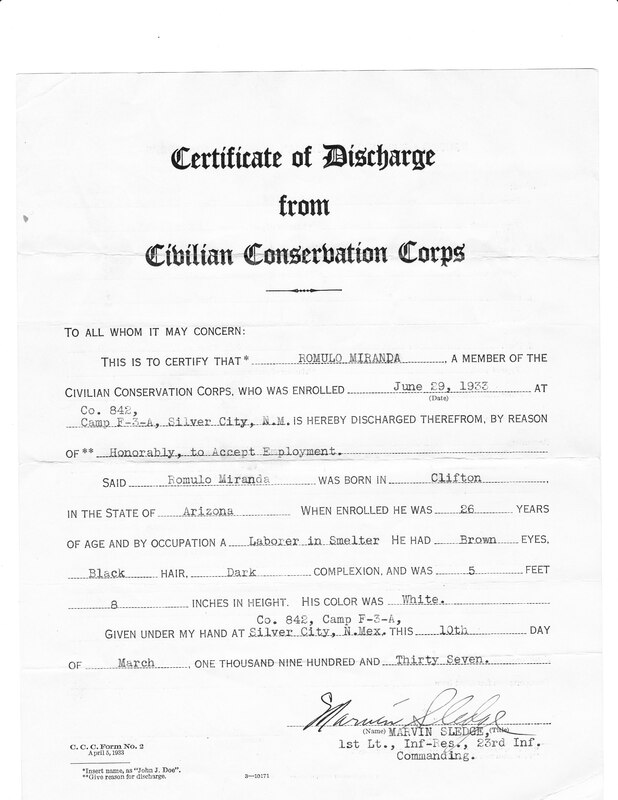 Following his work with the CCC, Momo worked for a time as a bus driver, driving between Clifton and Douglas, Arizona. Eventually he was employed by the Arizona Mining Company and later the Phelps Dodge Mining Company (PD). From records we have uncovered, it appears he worked first a laborer in the copper smelter – arguably the most labor intensive and hazardous work . Later Romulo worked as a Welder, receiving a special certificate from the Arizona State Department of Vocational Education in 1931 for welding. Later he worked as a Boilermaker, becoming just one of a handful of Mexican-Americans who became Tradesmen (from its founding, a succession of copper companies in Clifton made a practice of hiring Mexican-Americans and Mexicans primarily as laborers and paying them only half the salary for the same jobs and hours worked – see a more full discussion on the Clifton page). Romulo worked some 45 years for Phelps Dodge, a significant achievement in a town whose very existence was tied to the price of copper . 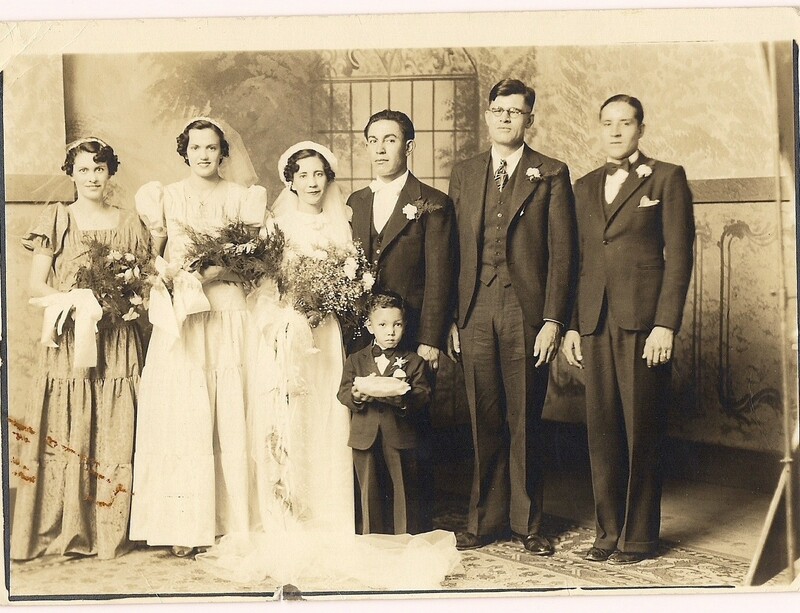 Momo married Francisca Escajeda Vielma on 4 November 1937 at the Sacred Heart Catholic Church in Clifton. Father Jose Mele performed the ceremony, and the witnesses were George Wright and Ofelia (Cookie) Fernandez. 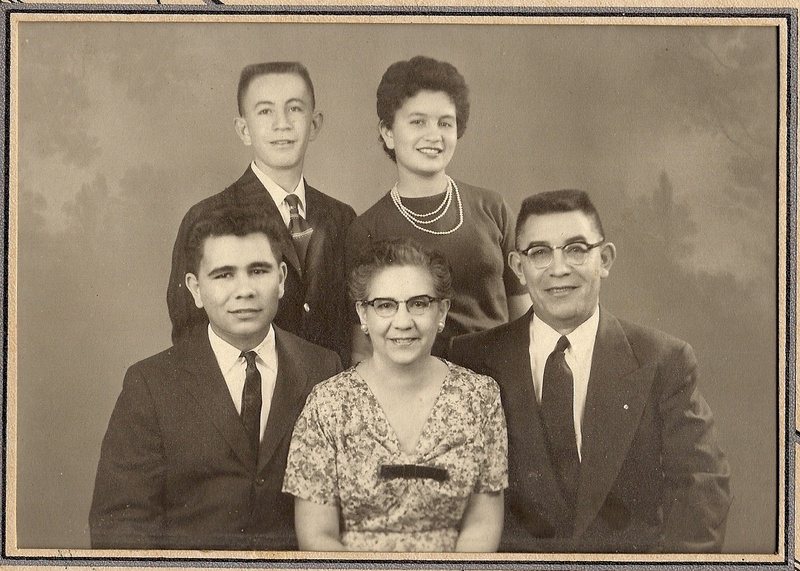 At the time of his marriage, Mom’s family had lived in Clifton for more than 55 years, while Francisca’s family had lived there for 25 years and both families were pillars of the largely Mexican-American community. As such, their wedding was quite the popular event in Clifton and well attended, as detailed in the newspaper article from the Copper Era at left. Momo was very active in the Sacred Heart Church and was also elected a Grand Knight of the Greenlee County Knights of Columbus, a testament to his deeply held Catholic faith. 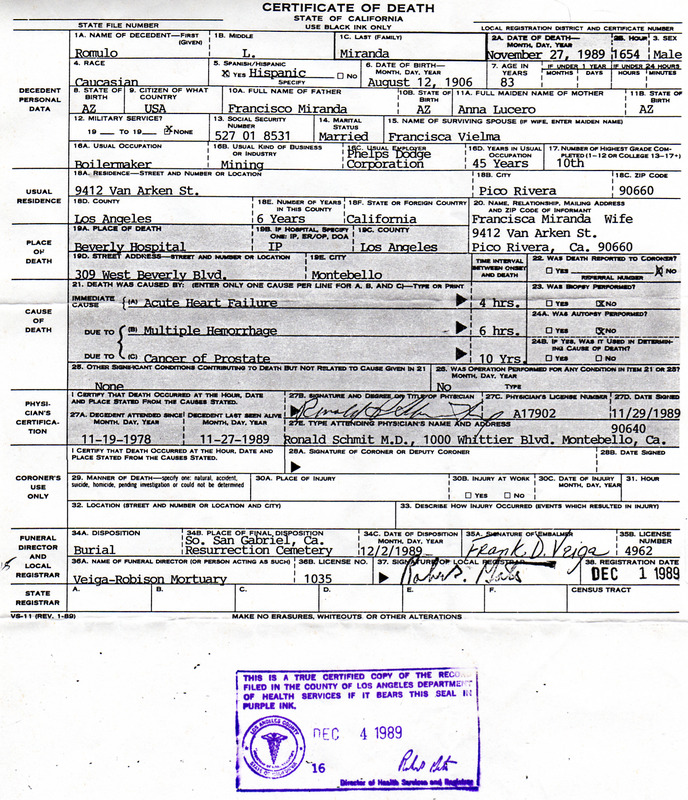 As per the 1940 US Census at right, Momo and Francisca were living in Clifton with one son and Refugio. The census notes that Momo was a Pipe-fitter for PD, where he received an annual salary of US$1730. In 1950, following the tragic death in childbirth of their son John, Romulo and Francisca made a pilgrimage to the Basilica La Virgen de Guadalupe in Mexico City, Mexico to fulfill a promise Romulo had made asking for Francisca’s life to be spared. After retiring from PD in the late 1970s, Momo and Francisca remained in Clifton until about 1983 – the year that a major copper mine strike and significant flood devastated Clifton. With Clifton significantly reduced as a town and Romulo beginning to experience health issues, they decided to move to Los Angeles to live with their daughter’s family. Health permitting, they were able to travel back to Clifton periodically, but for the most part remained in Los Angeles for the remainder of their lives. Momo died on November 27, 1989 in Montebello, California after a 10-year battle with prostrate cancer. He is buried at the Resurrection Cemetery in San Gabriel, California.